A golden-brown sponge cake is laid on a wooden table, basking in the warm afternoon sunshine. A red plastic brush moistens the genoise with syrup, and then heavy cream covers the sliced sheets layer by layer. Spinning the cake turntable slowly, the patissier spreads cream evenly on every side of the cake. The 5-minute mesmerizing baking journey ends when sugar-coated strawberries are gently placed on top of the cake. Such dessert-making videos are taking YouTube by storm in Korea. The simple clip featuring strawberry cake, which was filmed by Korean YouTuber Honeykki, has been played nearly 14 million times on the video-sharing platform. 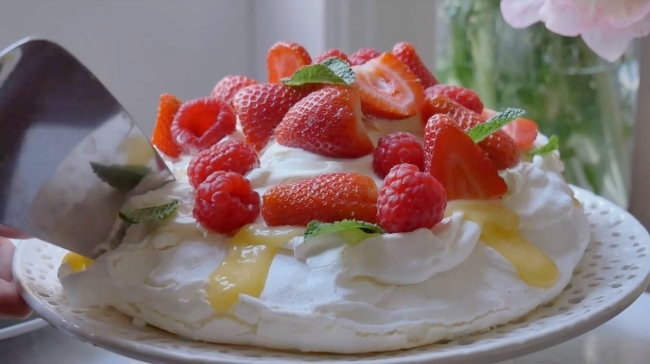 Other sweets-making videos from various cooking channels are also garnering a significant number of views from local dessert lovers. 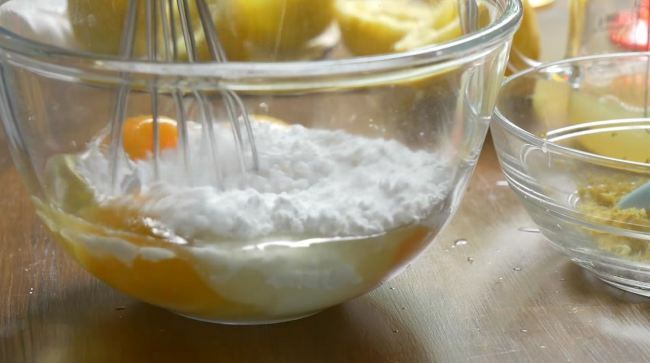 The content does not seem very different from ordinary “how-to-make” video recipes, but trending baking clips share common features: plenty of close-up shots and brain-tingling sounds. Rather than giving cooking instructions step by step in detail, the videos tend to focus on showing high-resolution footage and delivering clear sounds. Viewers say such videos are “oddly satisfying” to watch. While a Nutella chocolate cheesecake would arguably taste like heaven, some people feel gratified just watching how it was made. 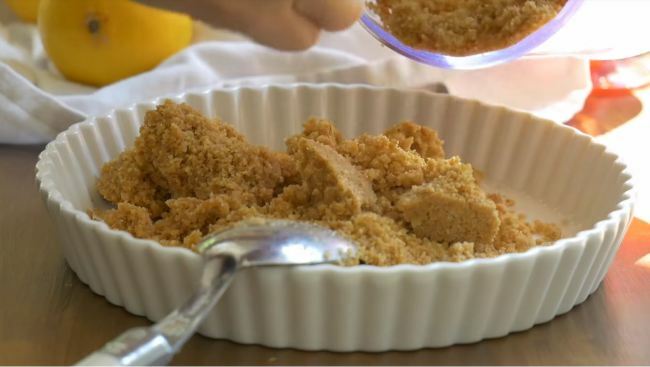 Kook Gabie, a chef from the TV show “Master Chef Korea,” is well-known for her YouTube video recipes that satisfy viewers’ dessert cravings. From Nutella cheesecake to apple crumble, the video recipes on Kook’s channel have a natural visual style that comforts people. “The sunlight is crucial on filming baking videos,” Kook told The Korea Herald in an email interview. “I sometimes record indoor under artificial light, but most of the videos are filmed in morning or daytime,” Kook added, explaining the use of natural light creates a warm mood in her baking clips. Even though Kook puts voice-over narrations on each video recipe, she rarely appears in the footage while she bakes. Instead, the camera shows various close-up shots that highlight the textures and colors of ingredients. 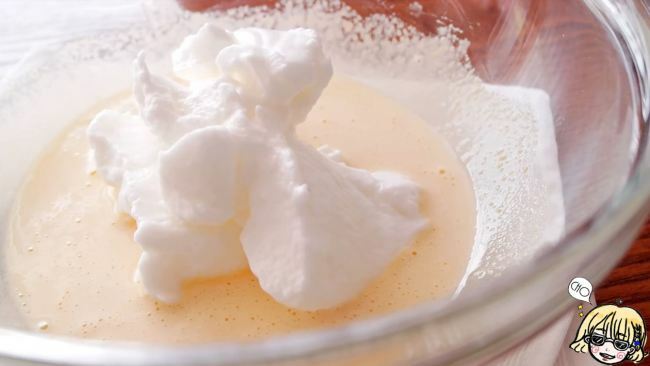 Footage of mixing egg yolks, melting chocolate chips and whipping thick cream instantly whet viewers’ appetites, the comments on videos say. “The footage itself is already so sweet and tasty,” a YouTuber user said, garnering over 370 likes. “I’ve wondered how you always create such (a) warm and comforting atmosphere on your video,” another user commented. 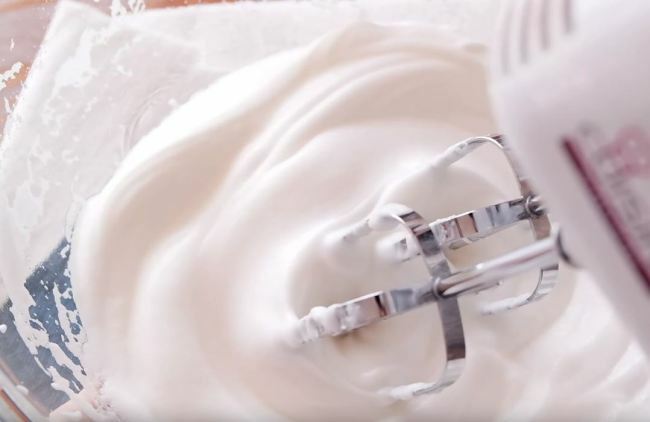 YouTube creators are now adding ASMR elements to their baking videos, making their clips even more relaxing to watch. ASMR, an abbreviation of autonomous sensory meridian response that evokes pleasant sensations in the ears, has been an internet phenomenon over the years. Lee Seung-mi, better known on YouTube as “Cho,” is one of the YouTubers who feature the clever use of sounds in their food videos. Since the creator first pioneered the “cooking ASMR” genre in 2014, her channel has gone viral among dessert lovers. The number of subscribers now surpasses over 431,000. Her seven-minute chocolate cake video, for example, delivers all kinds of sounds made while she bakes. The sounds of pouring water in a glass bowl, melting butter and chocolates, cracking eggs and mixing it all together trigger pleasant sensations in listeners. “The first and most (important) thing I care about (during filming) is to record the real sound of baking,” Lee said in an email interview with The Korea Herald. To create soft and soothing sounds, Lee uses kitchenware made of wood or silicone and takes extra care to avoid making loud noises while baking. Her 1 million-won ($894) recorder captures every little sound -- so she turns off her refrigerator ahead of the recording. “I even control my breath while filming to reduce unnecessary noises,” Lee said. Once filming is done, she carefully tones the sounds through an audio editing process. Comments on her channel’s videos are full of positive reviews, saying they felt a deep sense of satisfaction while watching the clips. “I love the way you keep silent and focus on baking. I often lose patience when people keep talking too much in the tutorial. Hope you make more,” a YouTube user said.